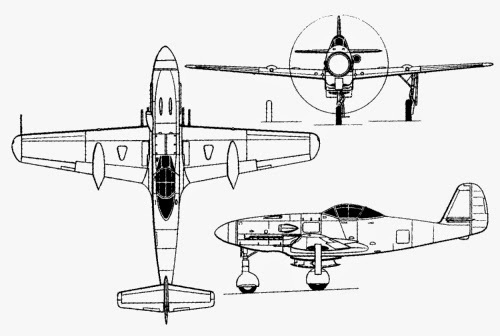 The Me 309 was one of several failed Messerschmitt projects intended to replace the aging Bf 109, the others being the previously described Me 209-I and the Me 209-II. Although it had many advanced features, the Me 309’s performance left much to be desired and it suffered from so many problems that the project was cancelled with only four prototypes built. The Me 309 project began in mid–1940, just as the Bf 109 was having its first encounters with the Spitfire in the Battle of Britain, the first aircraft to match the 109 in speed and performance. Already Messerschmitt anticipated the need for an improved design to replace the Bf 109. The RLM, however, did not feel the same urgency, the project was given a low priority and the design was not finalized until the end of 1941. The new fighter had many novel features, such as tricycle landing gear and a pressurized cockpit which would have given it more comfortable and effective high-altitude performance. The Me 309 had a length of 9.46 m (31 ft), a wingspan of 11.04 m (36 ft 3 in), a height of 3.90 m (12 ft 10 in), a wing area of 16.6 square m (179 square ft), and an empty weight of 3,530 kg (7,766 lbs). Powerplant was one 1,750-hp Daimler-Benz DB 603G engine, maximum speed was 733 km/h (457 mph), range was 1,100 km (686 miles), and service ceiling was 12,000 m (39,360 ft). Armament consisted of two 15-mm MG 151 machine guns, and three 13-mm MG 131 machine guns. Low government interest in the project delayed completion of the first prototype until spring 1942 and trouble with the nosewheel pushed back the 309’s first flight to July. 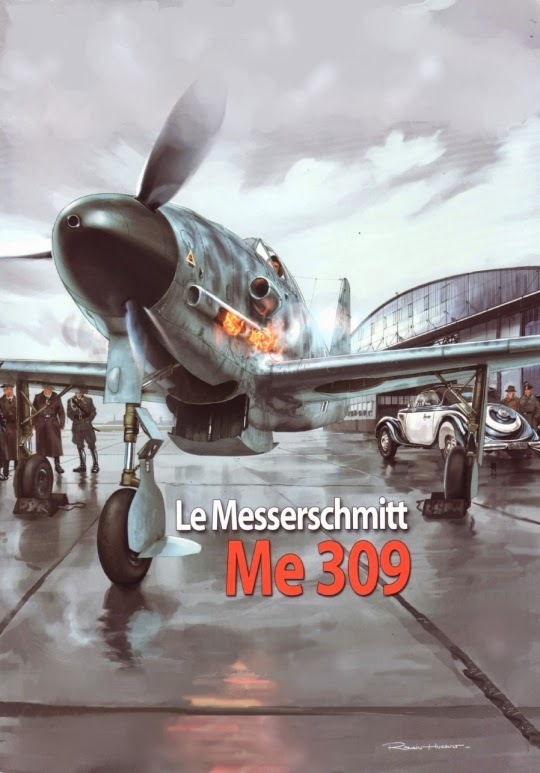 When it did fly, the Me 309’s performance was satisfactory but not exemplary. In fact, the Bf 109 G could outturn its intended replacement. With the addition of armaments, the plane’s speed decreased to an unacceptable level. In light of its poor performance and the much more promising development of the Focke-Wulf Fw 190D, the Me 309 was cancelled.